I saw this picture today and it made me tear up. 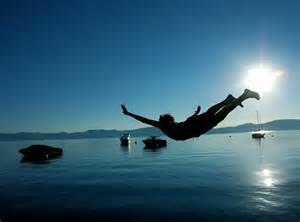 That could have been me flying in a perfect swan dive in the air. Unfortunately, I don’t have anything to show for my spectacular dive and I still blame Mark to this day. 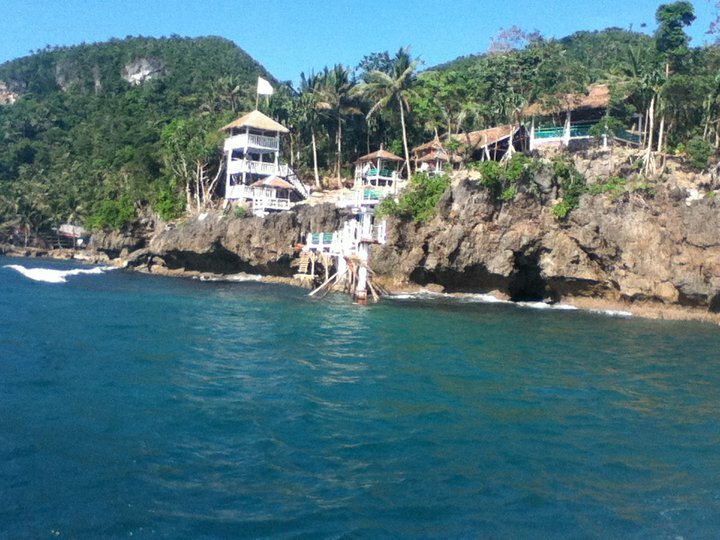 A couple of years ago, we went to Boracay and wanted to try leaping of this cliff called Ariel’s Point. The pictures showed a group tour with food and lots of laughing, drinking and jumping off. I don’t know what happened but the boat we rode towards this place was empty..apart from us. It was just me and Mark. Where was the group tour, the laughing and singing? Anyway, it seemed we had a miscommunication with the boatman and when we said “cliff diving” he brought us to Mr.Lee’s Island (not real name of place because we seriously do not know). They could have mugged us and thrown us off the boat and no one would ever find us. 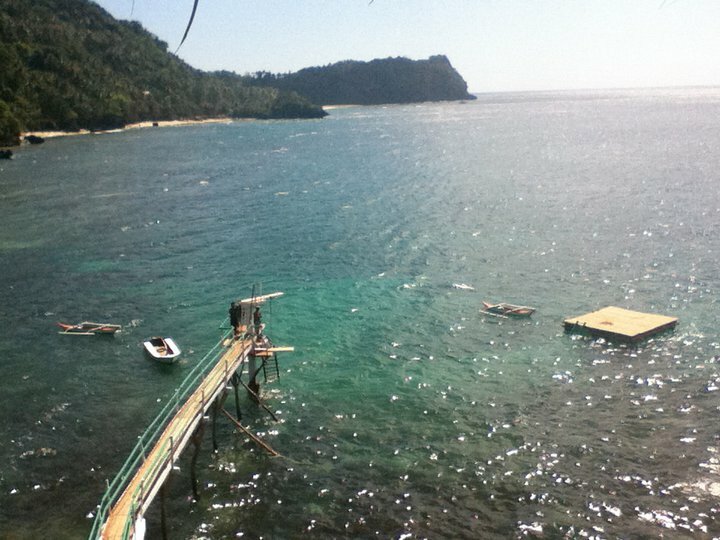 Mr.Lee’s island had a cliff diving area as well. Thus, the miscommunication. We were the only people on Mr.Lee’s Island except for the boatmen and that was a bit strange. They brought us up and there was a seafood lunch served. *crick* *crick* It was seriously just me and Mark which made us quite uneasy until we met Mr.Lee, the Korean owner. They opened the week before and we were one of the first guest. Walk to the ramp and up the diving board. 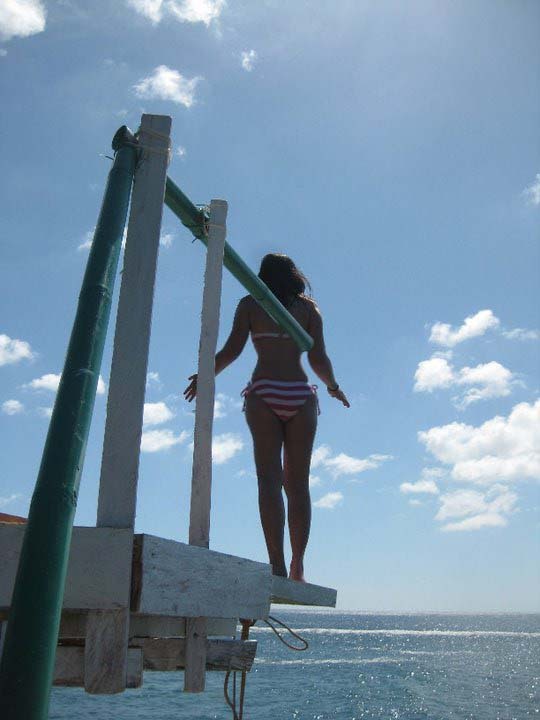 They showed us the diving board towards the sea which was around 25 feet high. After lunch, we wanted to try out the diving board. Correction: I wanted to try the board. Up I went and unto the ramp up high. Mark and the boatmen were excited. Camera was ready. “Okay!” So I looked at Mark and said “Ready?” He nods. And I gave the best swan dive I could muster. My swim coaches would have been proud. My arms stretched out and I soared, back arched, feet together, toes pointed, head proudly up. I struggled to move my arms forward for the entry because of the wind velocity but did it. I landed perfectly on the water and heard a snap upon impact. My bikini top broke. Of all the dumb luck..but I was too excited about my dive. I held my top up before emerging from the water and gave a big smile and waved. I thought they would be cheering and happy. All I saw were faces in shock. Mark was in shock, the boatman was in shock, Mr.Lee was in shock and the man on the boat dove in to check on me. They just stared. Then I wondered if I flashed my boobies to all the fishermen before landing in the water but no, because then, I would have changed his name to Lucky Mr.Lee. They thought I was going to do a countdown or not push through with the dive so they were all caught unaware. Mark had this “You’re crazy.” look on his face. He said he was in shock and had no picture of my epic dive. No picture means it did not happen. I only have memories of my epic dive. I was so sad. Mark, now my husband still owes me big time. I want to do it again but we don’t know how to get back to Mr.Lee’s Island or know the name of the place. So, this is basically like some unreal dream sequence I’m talking about because again, there was no picture! Grrrrrr!! !